The White House Correspondents’ Association awarded a $5,000 tuition grant in 2013-2014 to Dina Eid. 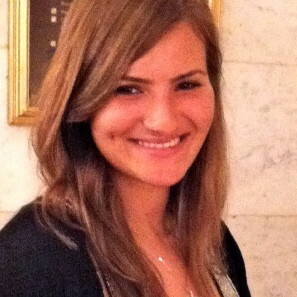 Dina was born and raised in Cairo where she worked as a journalist for three years before arriving in New York to attend graduate school as a Fulbright scholar. In Egypt she was witness to her country’s revolution and the chaos that has followed. She reported for several Egyptian and international outlets including the Daily Beast, Global Post and Washington Post. Dina believes in the responsibilities incumbent upon journalists to report the news accurately, responsibly and objectively. She hopes to return to Egypt to help establish the highest possible journalistic standards and ethics in her country and contribute to media reform there.